Build at the U.A Moreni factory the APC named SAUR 1. There are rumors of a more performant APC called SAUR 2 that the Moreni factory may trie to build but at this point they may not have cash to build. A military helicopter carrying six Israeli soldiers and one Romanian crashed Monday in mountainous terrain near Brasov, in central Romania. NOTE: I had no idea that Israeli troops were training in may country there were no news on TV only a bit on the internet. The aircraft had been taking part in a bilateral exercise dubbed "Blue Skies" when the accident happened. The manouevres had been scheduled to run from 18-29 July, but were immediately halted following the mishap. The CH-53's wreckage was located following a major search and rescue operation. Israel's air force began conducting mountain flying exercises in Romania in 2004. "Romanian geography includes challenging terrains unfamiliar to Israel," says the Israel defence forces. The air force was training there "to gain experience which may be needed in a future conflict", it adds. 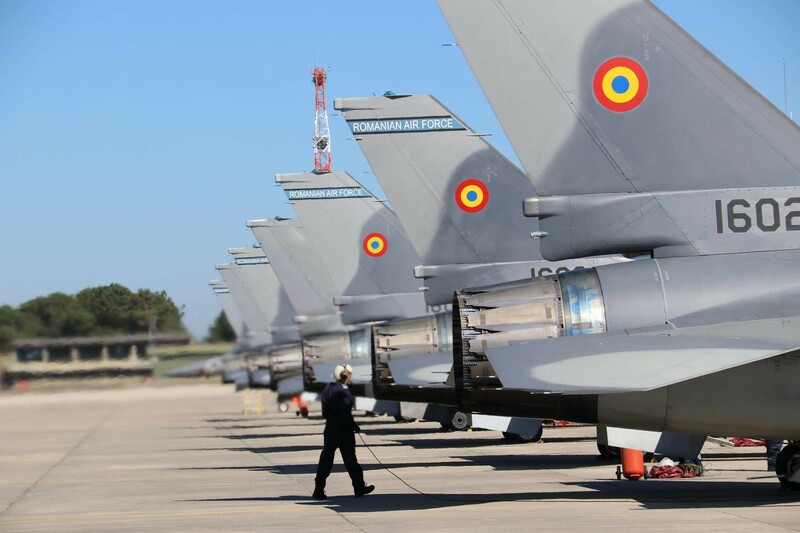 Israel's international training activities have more routinely been staged in Turkey over the last several years, but a recent freeze in relations between the countries resulted in the air force returning to Romania. Hmm some sort of modernised BTR-70 variant? First the Estonia and now and now Romania, the Red scare didn't work and now there getting desperate, phatetic. 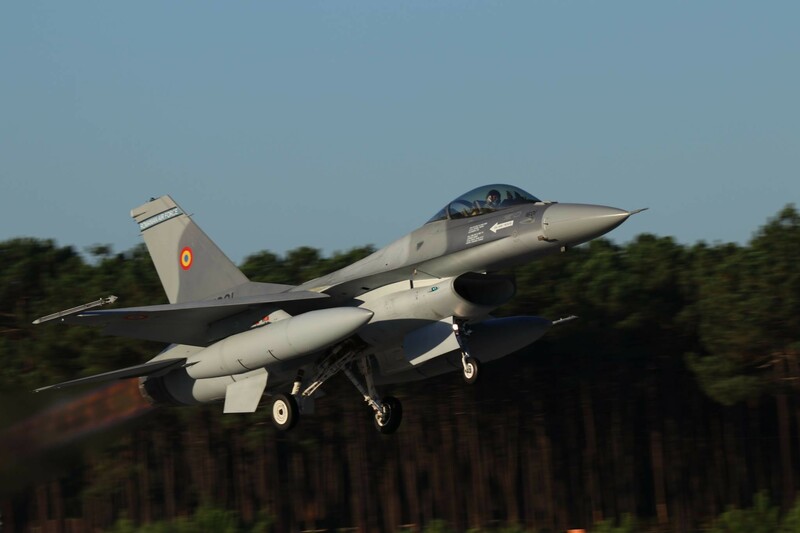 Six used Lockheed Martin F-16s will be delivered to the Romanian air force in Portugal on 28 September, the nation's defence minister announced on 27 September. The aircraft – which already bear the Romanian service's tricolour roundel – are the first batch from a 12-aircraft deal with the Portugese government signed in 2013. The 2013 deal includes training and support by Lockheed. Romania has been looking to modernise a Soviet-era fleet of Mikoyan MiG-21 multirole fighters for more than a decade. Its defence ministry considered offers based on the Saab Gripen and Dassault Rafale before opting for the NATO-standard F-16. Romania receives first F-16 jets to replace MiG-21's. 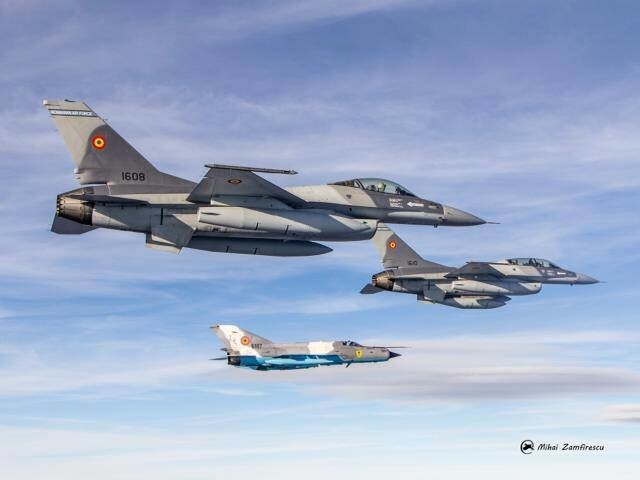 Romania received its first six F-16 fighter jets from Portugal on Friday, as it works to bring its obsolete forces up to NATO standards and phases out its outdated communist-era MiG's. 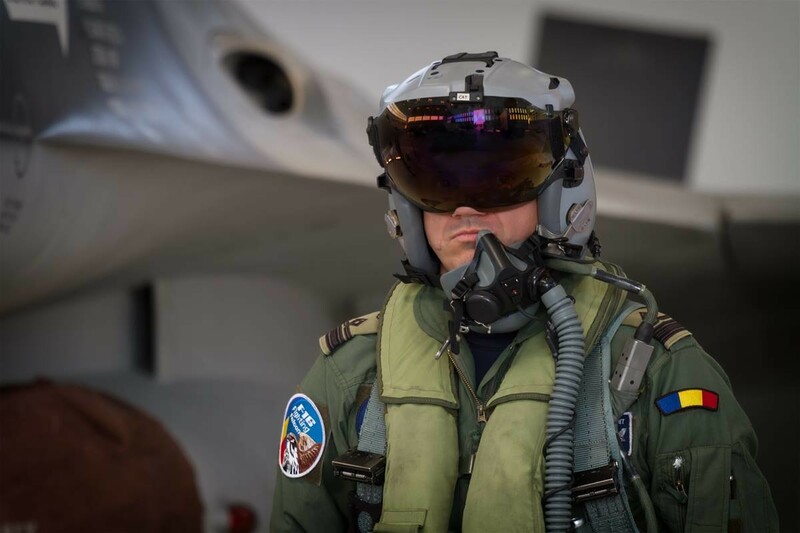 The F-16 Fighting Falcons are part of a batch of 12 units supplied by Portuguese Air Force to Romania, a staunch Washington ally and NATO member since 2004, and a participant in military operations in Iraq and Afghanistan. "This acquisition of a first batch of high-performance multirole planes represents a major investment supporting an increase in our country's defense capability," Prime Minister Dacian Ciolos said at the 86th Air Base Lieutenant Aviator Gheorghe Mociornita, near the Danube river. Portugal will supply three more jets by the end of the year and the rest in 2017. Romania to buy Patriot surface-to-air missile systems from the U.S. 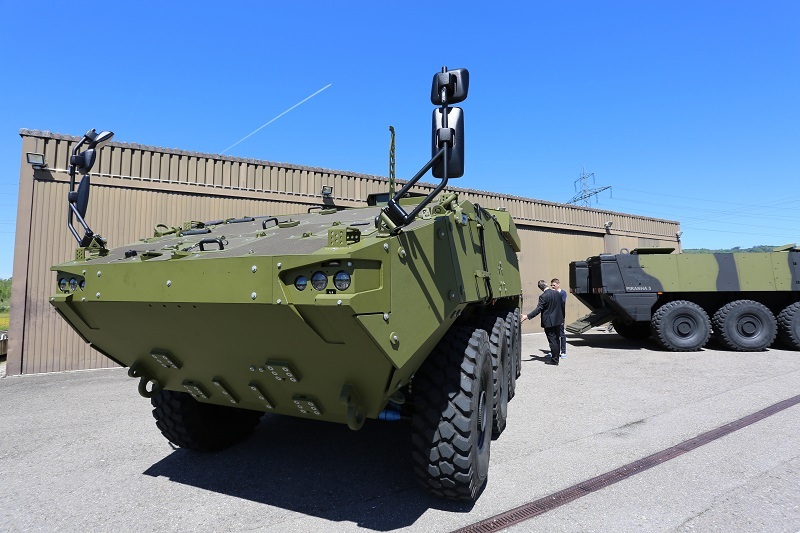 According to the US edition of Defense News, the Ministry of Economy of Romania signed a memorandum of understanding with the General Dynamics European Land Systems (GDELS) European corporation General Dynamics about the joint production in Romania of the Mowag Piranha V armored personnel carriers with the wheel formula 8x8 for the Romanian army (Swiss Mowag is part of GDELS as General Dynamics European Land Systems - Mowag GmbH). The joint production of Piranha V is planned to be organized by the Romanian state military-industrial association Romarm of the Bucharest machine-building plant (Uzina Mecanica Bucuresti) -the former Romanian tank plant (before 1990 - the plant of special heavy engineering / Fabrica de Masini Grele Speciale in the production association " August 23 "), built in time for the production of tanks TR-580, TR-85 and TR-125. 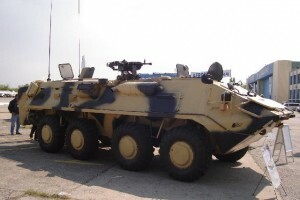 It is stated that at the first stage it is planned to assemble 227 Piranha V.
Nevertheless, it is not clear whether this agreement is evidence of the choice of the Romanian Ministry of National Defense in favor of acquiring the BTR Piranha V. We recall that earlier in June 2017, another Uzmar Automecanica Moreni enterprise (part of Romarm) (which once carried out the license issue of TAV armored personnel carriers -71, TAV-77, BTR-70 and BTR-80) signed an agreement with the German group Rheinmetall on the joint development and production in Romania of an 8x8 armored personnel carrier and the organization for this joint venture Romanian Military Vehicle Systems (RM VS), and this agreement was also supported by the Ministry of Economy of Romania. 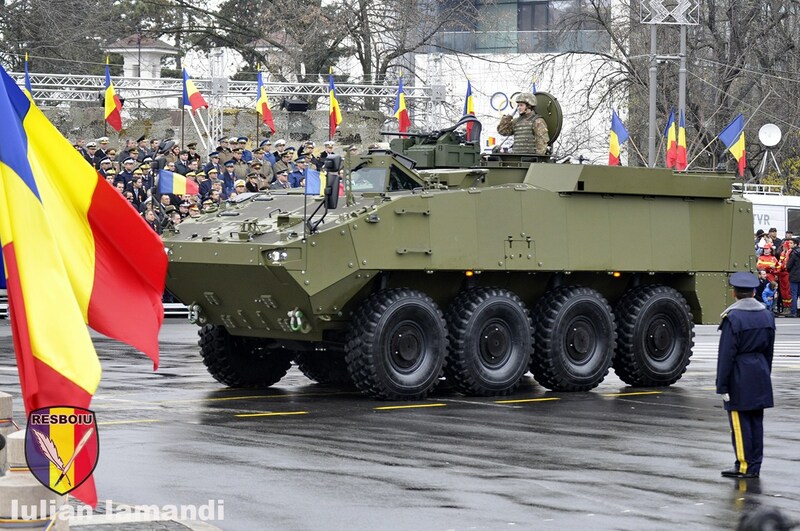 Under the contract of 2007 with Mowag worth 47 million euros, the Romanian army received 31 Piranha IIIC armored personnel carriers, and in 2016 ordered another 20 Piranha IIIC vehicles in special versions. The Piranha V armored personnel carrier is the most up-to-date development of the line of known Mowag Piranha armored vehicles. To date, Piranha V has been ordered by the Danish Armed Forces (309 units under contract from December 2015, deliveries to be commenced in 2018) and pre-selected by the Spanish armed forces. According to the Romanian media, on January 12, 2018 in Bucharest, Romtehnica, the Romanian foreign trade company, signed a contract with the General Dynamics European Land Systems (GDELS) European corporation General Dynamics about the joint production of armored vehicles Mowag Piranha V with the wheel formula 8x8 in Romania for the Romanian army (Swiss Mowag is part of GDELS as General Dynamics European Land Systems - Mowag GmbH). The contract value is 895 million euros (excluding VAT). The signing ceremony was attended by Romanian Prime Minister Mihai Tudose and Romanian Minister of National Defense Mihai Fifor. 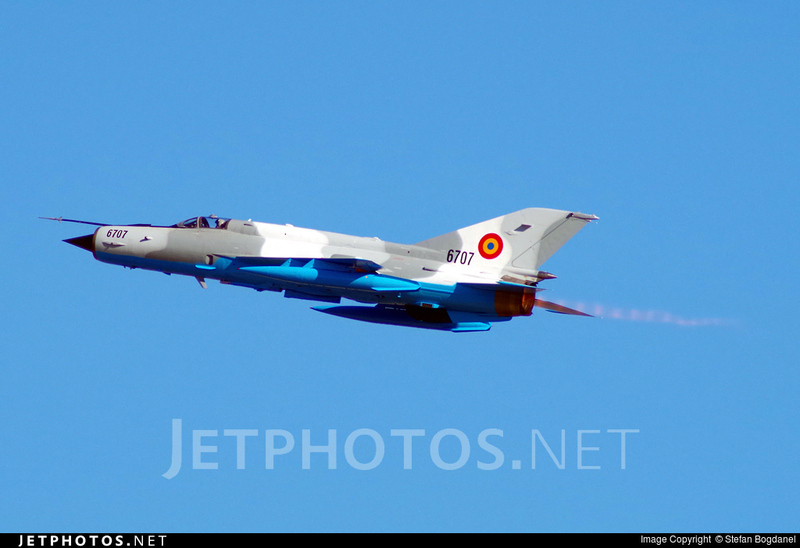 On July 7, 2018, the modernized MiG-21 fighter MiG-21 LanceR C (on-board number "6707") from the 861st Squadron of the Romanian Air Force crashed during the air show on the 86th Air Force Base of Romania in Borsay near Fetesti. Piloted aircraft 36-year-old lieutenant-commander (major) Florin Rotaru died. The causes of the crash are still unknown. 86th avitsionnaya base (aircraft fleet) "Locotenent Aviator Gheorghe Mociorniţă" is the main base of Air Force combat aircraft of Romania. 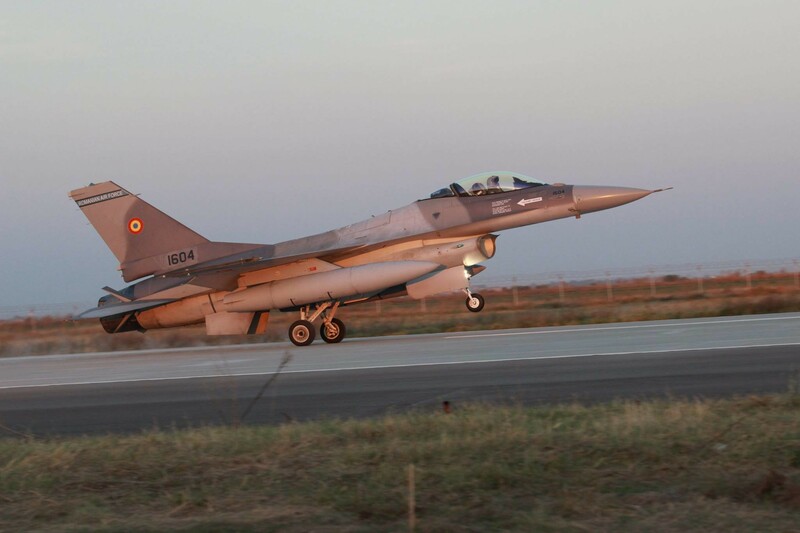 The main aerodrome of the 86th airbase in Fetesti is based on the 57th fighter squadron equipped with 12 newly obtained by Romania fighter Lockheed Martin F-16A / B MLU. At another 86th airbase, the military unit of the Mikhail Kogalniceanu International Airport near Constanta (the former 57th airbase), the 861th fighter aircraft squadron (Escadrilele 861 Aviaţie Vânătoare), equipped with MiG-21 LanceR fighters (one of the which broke up at the air show in Fetesti on July 7). Upgraded by the LanceR program, MiG-21 fighters before receiving F-16 fighters formed the basis of the Romanian Air Force's combat capabilities. In total, from 1995 to 2003 with the participation of and under the project of the Israeli company Elbit Systems in Romania under the LanceR program, 111 MiG-21 fighters were upgraded - 71 MiG-21M / MF aircraft in a simplified version of LanceR A, 26 MiG-21MF airplanes in LanceR C variant and 14 double MiG-21UM in the LanceR B variant. Since 2007, the MiG-21 LanceR fighters are being withdrawn from the arsenal of the Romanian Air Force, and by early 2018, 34 of these aircraft remained in the Romanian Air Force (ten LanceR A, six LanceR B and 18 LanceR FROM). 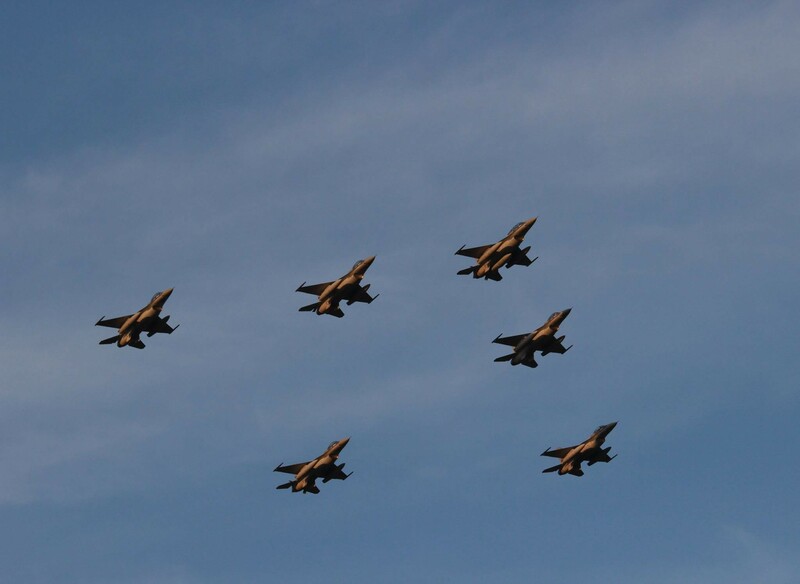 In addition to the 861st Squadron of the 86th Air Base, these aircraft are now also in service with the 711th Fighter Squadron of the 71st Aviation Base (Air Flotilla) in Campia-Turzi.